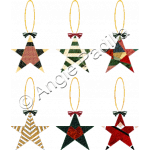 Fun and easy, you will want to make tons of these paper pieced beauties to decorate the tree and/or as a special touch added to your gifts. 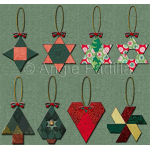 This is a really easy pattern for paper-piecing lovers, but with a couple of funny twists to add som..
Are you crazy for hexies? 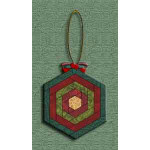 And for log cabin patterns? 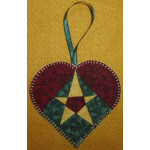 Then here is the perfect little ornament to sa..
Are you a paper piecing enthusiast? And up for a challenge? 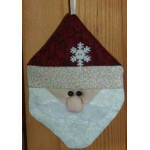 These little beauties are not for the fa..